Eloy is a German progressive rock band, whose musical style includes symphonic and space rock, the latter tendency being more prevalent on earlier albums. I’ve got a record player on the occasion of my birthday. I was 13 and it was a gift from my mother. My first record was Elvis Presley’s Jailhouse Rock and I was fascinated by that kind of music. A couple of years later I started to play guitar. 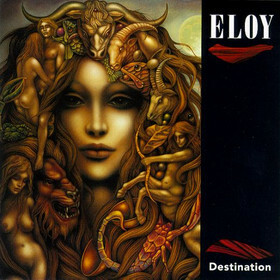 What bands were you a member of prior to the formation of Eloy? Like all young musicians in Germany I started to play in a cover band who played the latest hits and well known songs from The Beatles, the Rolling Stones, Cream, Led Zeppelin, the Moody Blues etc. but also from many famous US-rock ‘n’ roll artists like Chuck Berry, Little Richard, Buddy Holly etc. It was a good education! Eloy was taken from the novel Time Machine by H.G. Wells? Would you mind telling me what do you remember from early rehearsals. Eloy was born in 1969 and the name was indeed taken from H.G. Wells. I considered the story of Time Machine as a perfect symbol which reflects the situation of a German band in those days who did dare to play its own compositions with English lyrics. It was an enormous and courageous step. No one here was interested in listening to German rock band music. The fans of rock and pop music wanted only the successful songs from famous groups and artists, nothing else! 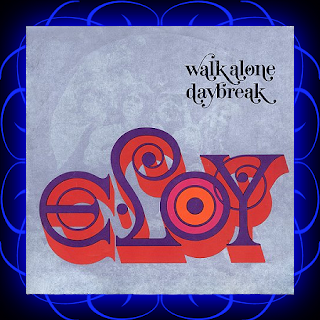 Your first release was ‘Daybreak’ / ‘Walk Alone’ from 1970. What do you remember from recording it? The young band Eloy was the winner of a band contest and we got the chance to produce a single with two songs. We obtained an artist record deal and were signed to Philips. In 1971 you released your debut. 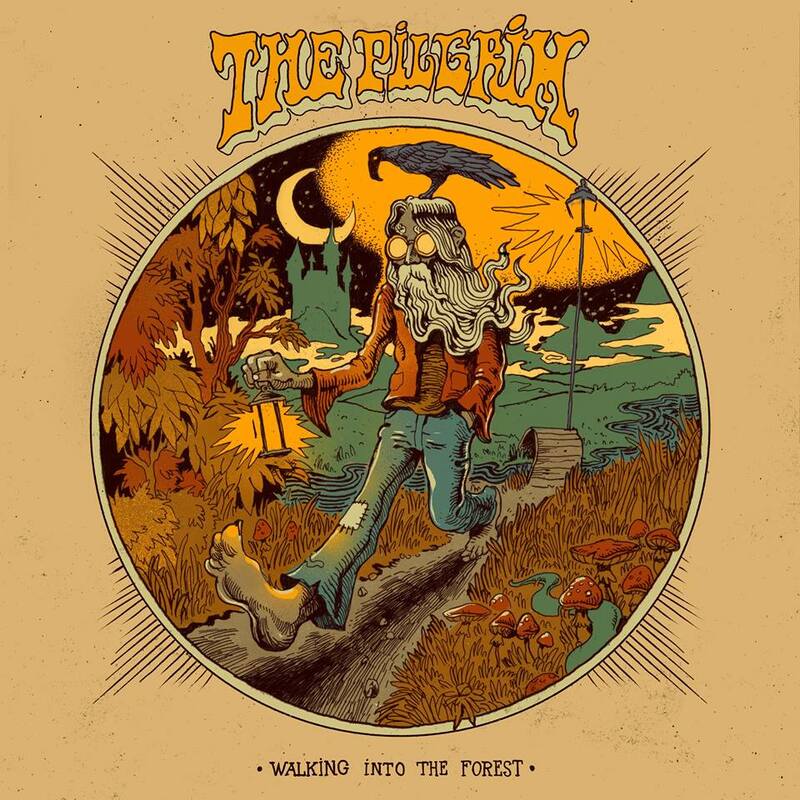 It’s a straight ahead hard rocking LP compared to you later, more space rock sounding material. 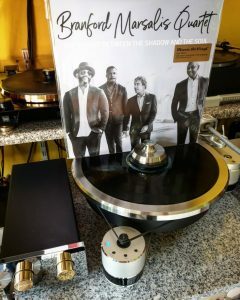 The LP was released in limited edition on the Philips label in Germany. You are right…the first album was not yet the progressive band who you will find on all our following albums. We were inexperienced beginners and our artist profile was unclear. 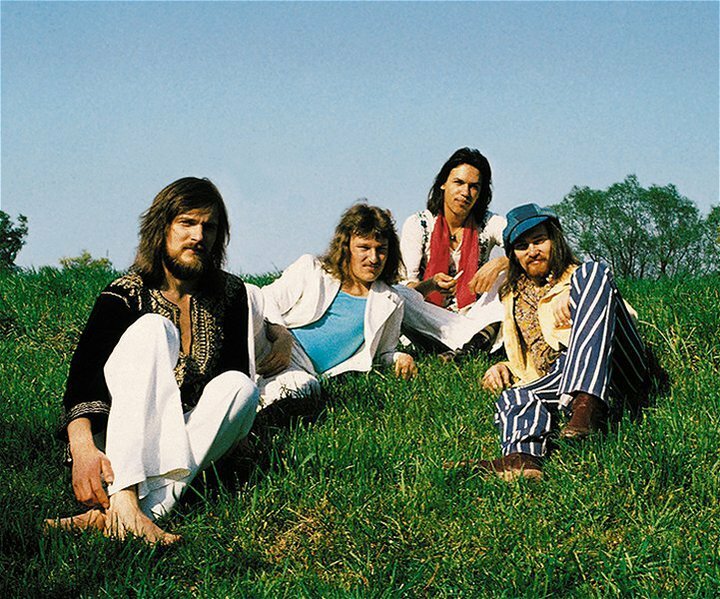 Each member of the band was naturally inspired, each to varying degrees, by the new sensational musical creations which not only came over to us like an invasion from England, but also dominated the international music business. In the light of this fullness and wealth of different influences we found it diffilcult to cleary define our musical direction as well as form an independent identity. I consider this album as Krautrock. The sales figures were not impressive. 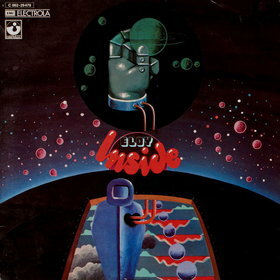 By the time of your second album, Inside, the typical spacey sound of Eloy was born. 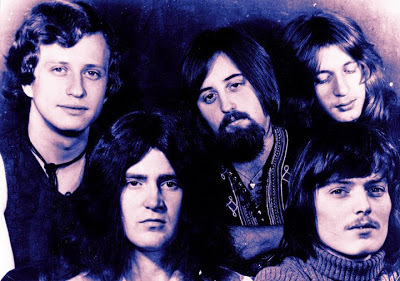 First of all … on Inside we had a new line up and our former second guitarist Manfred Wieczorke played henceforth Hammond organ. Since Inside, keyboards played a very important part in our music. We were able now to create a mixture of pulsating rhythms and atmospheres. The sound of Eloy was born. Floating and Power and the Passion followed. What can you tell me about this two releases? There was quite a lot of improvisations on the Floating LP. The reason of all these improvisations is easy to explain. 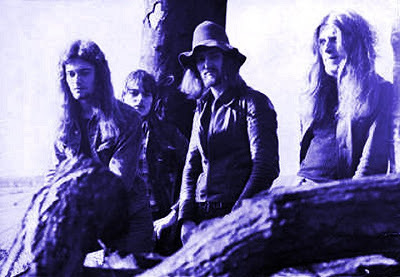 The band played many concerts in 1973 and each night on stage we have played improvisations. Finally we did the same in the studio. The result was an album with lots of spontaneous moments. After the release of Floating we were once again permanent on tour but we had new plans. We decided to dare another musical step. The biggest challenge for me in those days was the realization of a concept album… and there was a story roaming in mind, Power and the Passion! This album was the biggest success before our Dawn, Ocean and Silent Cries and Mighty Echoes. Unfortunately the band went in split after this album and I was compelled to rebuild the band and to continue with new musicians. Dawn was the first album which was produced by me and I got the chance to work with an orchestra. A great opportunity to realize all my dreams and wishes. This album was the break through on the German market. It was the continuation of Power and the Passion but this time I could do my work without compromise. Dawn is still one of my favorite albums from the band. 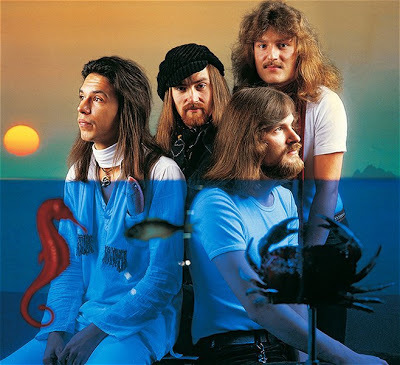 On Ocean everybody in the band was very motivated (last but not least because of the success of Dawn) to make something which is absolutely extraordinary and outstanding. The story (based on the myth of Atlantis) and the lyrics were written by our drummer Jürgen Rosenthal. It was again a concept album and we were experimenting with lots of sounds, effects and atmospheres. 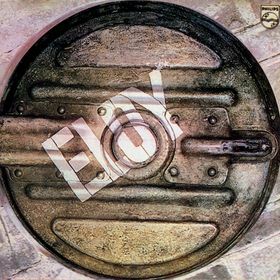 This album became the most appreciated album of the band and is still the biggest progressive rock success of a German band. We sold up to now more than 300.000 copies only in Germany. 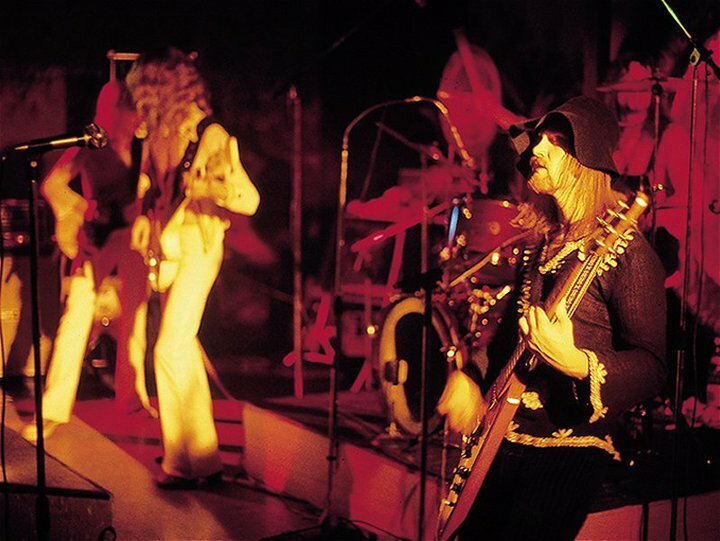 In 1978 you released Live album. Unfortunately we’ve got many technical problems with the recordings and many wonderful moments never found its way on the live album. The reason of all these problems was our huge light & sound equipment. 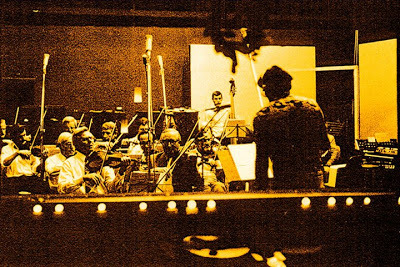 Most of the recordings were useless because of technical noise on the tracks. Finally we were forced to put the tracks on the record which were clean enough for a disc. Nevertheless, many Eloy fans like it. It is not perfect in case of the sound quality, but at least here is the truth. 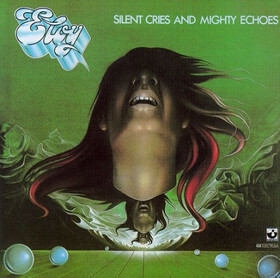 1970’s ended with Silent Cries and Mighty Echoes. You were also very active thru the 1980’s with albums like Colours, Planets, Time to Turn, Performance, Metromania and Ra. Same goes for the 1990’s with albums like Destination, The Tides Return Forever and Ocean 2: The Answer. Silent Cries and Mighty Echoes was another big success but once again the band lost two members. Klaus Peter Matziol (bass) and I found three wonderful new musicians with Jim McGillivray (drums) Hannes Folberth (keyboards) and Hannes Arkona (guitar and additional keyboards) and we could continue. Colours was the first statement of the band, but it was not a concept album. 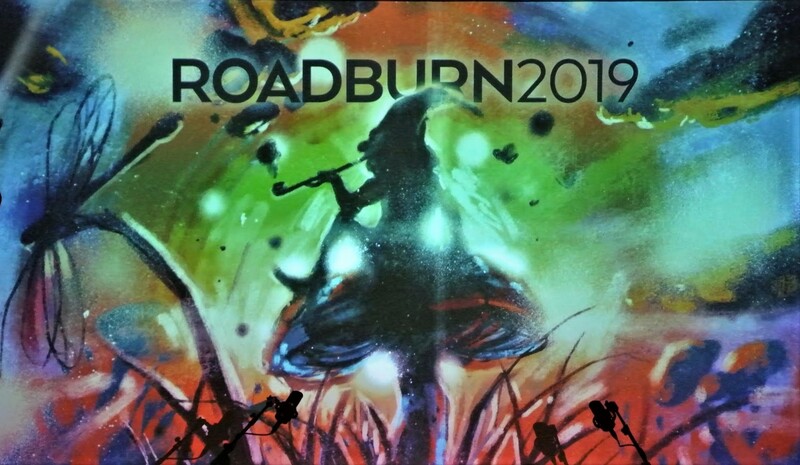 Instead of the expected next big concept work we started with an album of a collection of songs and sounds, composed and arranged in our rehearsal room. 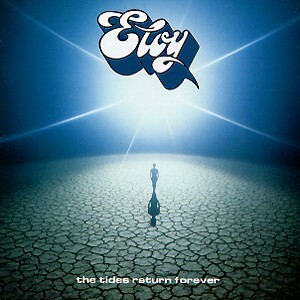 Some Eloy fans were disappointed, some were pleased about the new flavor in the music. Although Colours was a good start for us, we decided to create again a huge concept work. Once again I had some images and the idea to describe the situation of our world and our society by a science fiction story. Planets and Time to Turn was once again a convincing work in opinion of the Eloy fans and I personally was absolutely happy about the wonderful response of our fan community…but there were many changes in the music beginning of the eighties (Punk, Neue Deutsche Welle etc.) and some of the band members wanted (because of these things) to change also the style and the image of the band. That was a time of dissension and many stressful discussions. Finally the majority inside of the band enforced the music and the image on our album performance. 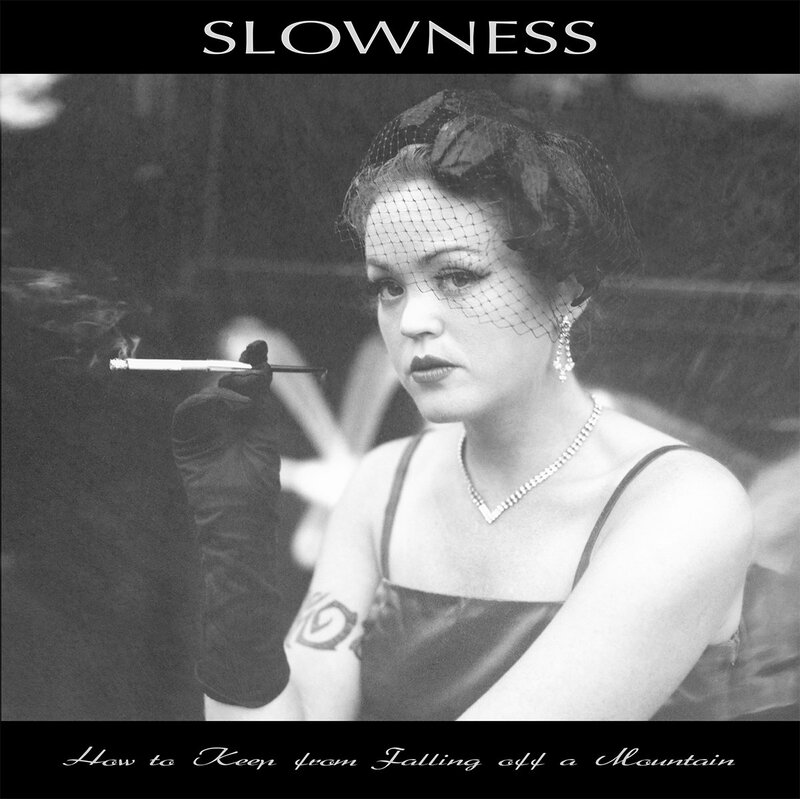 This album became a flop and was the beginning of tensions inside of the band. Our last album for EMI Records was Metromania and I did my very best to bring the band back to their roots. The result is Metromania. We did play some concerts in Europe and even in England (two sold-out shows at the Marquee Club by an invitation of BBC) and although the band played wonderful on stage these concerts were the last of the band. Everybody left the band and wanted to go his own way. It was the end of Eloy until I met Michael Gerlach in Berlin in 1986. We started playing music together and with the time we decided to continue Eloy as a band of two musicians. Our first album release was Ra, 1988 and it was placed in the official German album charts. I was very surprised by this unexpected success after the break of nearly 4 years. 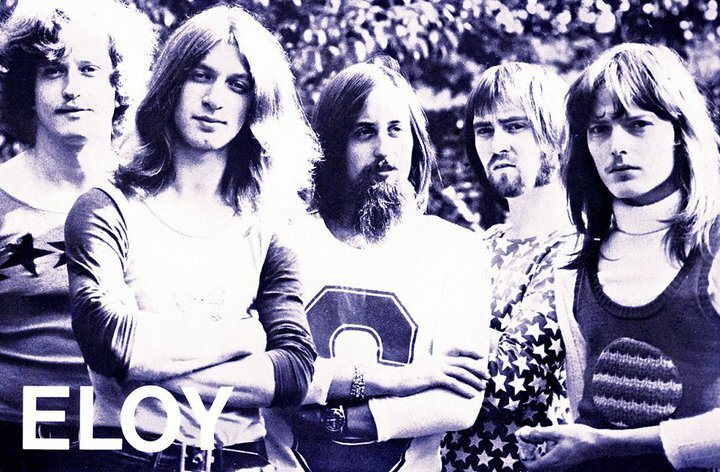 In those days I produced many bands in my studio in Hanover (most of the time heavy metal bands) and because of all these productions I had not enough time to continue the cooperation with Michael on Eloy. I took nearly 4 years to make another Eloy album. Destination was finally released in 1992 and surely influenced by my work with heavy metal stuff. 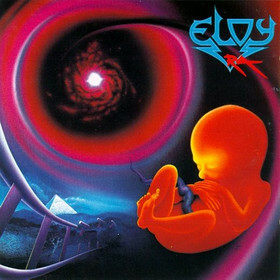 I think many Eloy fans were irritated by this strange mixture of sounds and styles on this album. From my point of view of today there were too much different things on Destination (something was good but something too far away from the Eloy sound) and I invited too many guest musicians. During our work on the both Cronicles I recognized the confusion on our last album and found the way back to the roots. On The Tides Return Forever I tried to turn the time back. Klaus Peter Matziol came back to the band and played a wonderful part on the album in 1994. On the occasion of our 25th anniversary we played some concerts after a break for 10 years! 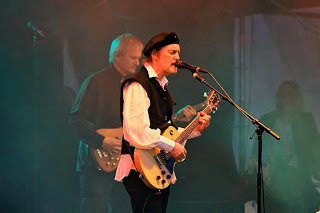 Our drummer on tour was Bodo Schopf, our second guitarist Steve Mann. The concert tour in autumn 1994 was an amazing success and we played further concerts in spring 1995. Because of many requests, I produced, three years later, the long expected follower of our album Ocean. On Ocean 2: The Answer you find the same line up which was on tour 4 years ago. 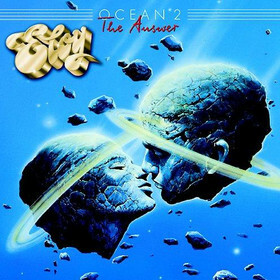 Most of Eloy fans said: “Ocean 2 is the best Eloy album for long time and one of the band ever”. This time the lyrics were written by me and unlike Jürgen Rosenthal I tried to spread out a positive message. During the recording sessions we used only vintage equipment (synthesizer and amplification) in the studio. Furthermore you can hear Hannes Folberth (first time since 1984!) playing a Moog solo on the song “Ro Setau”. After the Ocean 2 album I decided to finish Eloy. The rest is surely well known. 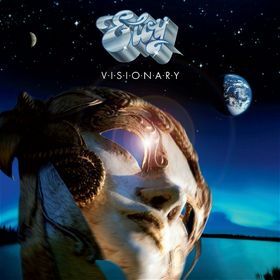 Because of the incredible fidelity and power of our fan community I produced with the band another album Visionary (2009). The concerts were an overwhelming experience! Our listeners were wonderful and were so close to our fans. The press wrote about a mighty return and a magical performance. Returning to the stage was a good decision. We did enjoy every minute! We will play a tour in Spring time next year and we will be the headliner on the famous NEARfest Festival 2012 in USA. Thank you. I think, everything is said. IS that a new graphic at the top of the page, or have I not been paying attention? Either way, it's cool. And getting an Eloy interview is very exciting; congratulations. Graphic is a few months old. I'm glad you dig Eloy interview. Many other to come in the future. Great interview!! I've only hear Eloy's Dawn and Ocean which I love. Maybe I can catch them on their NEARfest tour!! fantastic interview with frank from eloy, you rock my friend, as always. peace & love from solarmusic. Hi Klemen, thanks again for all your hard work with these exclusive interviews. This is very cool.